Architects should have social responsibility and lay stress on building baseline of grass-root. 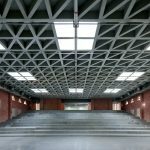 What is the characteristic and the development situation of the Architecture school of Tsinghua University? 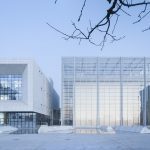 The School of Architecture of Tsinghua University has been ranking among the highest in the world for three consecutive years., in 2015 and 2016 ranking the eighth, and in 2017rankingthe eleventh. Theoretically speaking, we are in the world class. But this achievement is not owed to me, it is a result of the joint efforts of all the former presidents, department chairmen, faculty, staff and students. We could conclude the success of Architecture Department, Tsinghua University in the following aspects: firstly, also the most important, the Architecture school of Tsinghua University relies on the Chinese environment. China and Chinese culture are our roots, and this is the main reason that people and the world could recognize us. Secondly, the clue of Chinese architectural culture plays an important role in the development of the world’s architecture. And this is where we are based on. Thirdly, in the last decade or so, our graduates have gone to various parts of the world and played a very important role in promoting the achievements and reputation of our university. Finally, the reform measures introduced in recent years. Such as the implementation of open teaching. We have invited the world known architects to assist our design classes. 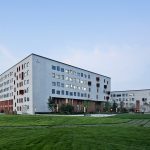 Thus, the Tsinghua University has put forward a special teacher certification– “architecture advisor”, which is certificated by the headmaster. This open teaching covers the entire third academic year of Architecture Department. And with the strategies like the reform of personnel system, education and teaching, international education branding, we have reached such a height today. What are the obvious differences, in your point of view, between the Chinese and the western universities in vocational education of architects? And what do you think is the key to cultivating good contemporary architects? As globalization becomes more and more obvious, there are no apparent differences between our education system, patterns or the course settings and the foreign countries’. The crucial point, instead of the differences between the east and the west, is what characteristics do we have besides the homogeneity. There are two recognized camps of architecture teaching in the world. One is TU-Delft and ETH who laid stress of education system on the basic principle of architecture. The other is the education system in the USA. Tsinghua is in communication with both, such as the postgraduate fostering programme with Harvard and MIT, and the undergraduate and postgraduate educational communication with Cornell, TU-Delft and ETH. Thus, we formed our own education system of Tsinghua University, which is 4+2 pattern. After 6 years, students will achieve both bachelor and master degree in architecture. Besides, the five years’ bachelor confirms the Canberra Accord on Architectural Education, and one could be qualified only when he finishes the 5 years’ study, to lay the foundation for becoming professional architects in the future. We are not totally coping the 3+2 study principle in Europe nor the 5-year’s architecture study in the USA, instead, we have our own characteristics. In the 4+2 programme, students could choose to finish with four years’ Bachelor of Engineering, or with five years’ Bachelor of Architecture, or six years’ Master degree of Architecture. This is in line with China’s national conditions and cultivation characteristics. I don’t think the masters are cultivated in universities To become a master, one should have talent and perceptions. Our position on talent cultivation is very clear and precise, that is, we should cultivate qualified architects at the architectural level. Only when students become qualified architects, they might have abilities and perceptions to become masters. What we can guide our students is to teach them the basic principle, to tell them how to gain architectural aesthetics, to tell them a kind of realm, a state of mind and philosophy inherited from previous masters. . As to whether a student could become a master or not, it depends on their own. And this is the general understanding in western education. We do not have master classes, nor set courses for competitions. Competitions are self-training opportunities in which students should combine with their own study and experiences. Professors could help with the competitions but should not involve in the design courses. 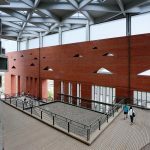 What is the challenge of the Architecture School of Tsinghua University in the context of globalization? Globalization makes the world tends to be alike. Under this circumstance, the homogeneity of the world, the challenge would be to keep our unique features. We have always been considering this, and 4+2 is a good example. We are incubating a reform in education lately, which would be the practice of keeping our own features. 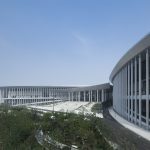 What is the crisis of the Chinese architecture, if not consider from the perspective of teaching? Architecture is not facing a crisis itself. There is a need of the ground where we combine the development of a subject with the needs. Universities in UK have had a discussion of whether they should cancel architecture. Why? It’s related to market and social needs. Some of the Chinese universities have deleted some subjects lately after the evaluation, which is also closely related to the development of social needs and developments. 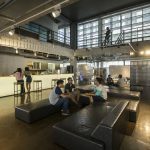 Although there seems to be a declining trend in real estate market, however, in the long urban transformation process, and in the construction for the urban and rural places, architecture is still in an urgent need. Being an old subject, architecture is showing its vitality in China. The crisis you mentioned, may refers to that at the level of construction, connotation, and academic, Chinese architecture may face a big challenge. The rapid urbanization in the development of China might leave us a big challenge. The development of the latest 3 decades, made many of us chase for short-term interests, care too much about the relationship between inputs and outputs, and concern too much about the practical properties of this subject. Yet, architecture is not something that pragmatism can explain, and it is not a practical and pure applied science. It should be a subject of combing with art, science and technology, as well as through environment constructions, it meets the needs of citizens and brings also the spiritual enjoyments. It is a construction in cultural aspect. If we see the development of a subject paralleled with the market demands, and always compare the inputs and outputs, we may get disorientated. 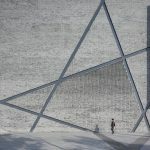 I think now in China, we need to step a bit higher to think about what architecture could bring to people, instead of seeing architecture as just building houses for people to live. “Poetic living” embodies the two implications of architecture: function and spirit. “Living” is the function and “poetic” refers to spirit. Functions make the architecture reasonable, and spirit makes it meaningful. The implication of architecture is the most appealing part to which many of us are willing to devote. 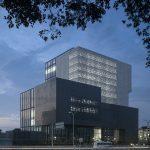 The Architecture School of Tsinghua University has set up related courses in architectural programming. What’s students’ response? I would like to firstly talk about the positioning of this subject. As I mentioned before, architecture is a joint subject of art, technology and humanity, whereas we used to neglect architecture itself. The reason that the architecture was demolished soon within only years of utility, is the problem of positioning. Leaderships and proprietor who only judging on their own willingness used to think there needs a place or a profile before the demolishing and construction process, without scientific, logic and rigorous judgment. 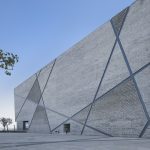 How architects build right architectures if the theme was wrong? Thus we, on the one hand, emphasizes on the cultural construction of architecture, and on the other hand, we stress on the bottom line of architecture. Architecture Programming is just a tool to assist us in doing architectures reasonably. As for students, especially for students in Tsinghua University, how to make a good programming is important. What makes this course significant is that students could hold the responsibility of their baselines while receiving the lectures, teachings and discussions from the masters and great architects. We highlight the baseline of architecture, which is mostly neglected, during this course. Some architects used to follow up the assignment without questioning. This course, actually, has implemented in western countries since 1950s. After the World War II, cities are in rapid constructions, and the notion of “build the best house with the least money.” has been put forward by USA, and this is what programming is trying to deal with. For architecture school students, the baselines are necessary. It includes many methods in programming, and statistics, big data, operational research, or other subjects could also be involved. Some students show their great interests in this course. 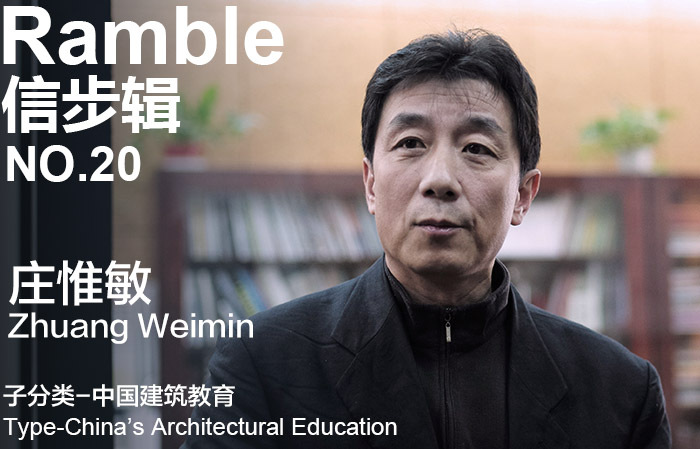 As the president of the school of architecture of the top university in China, what is your advice for the students? I hope that the young friends who love architecture can make their love of architecture materialize. These affections should not only be words or emotions nor appreciations. They should see responsibilities through the appearances. This responsibility for architects, is the adaptation of the built environment into the nature. The theme of the last UIA calls for the responsibility of architects. We call architects to have a social responsibility first, and lay stress on building baseline of grass-root, as well as the construction for vulnerable groups and helpless groups. We have more than enough high-tech buildings of coolness, whereas the architecture for citizens, for city itself and for the vulnerable groups is far from adequate. Many years ago, when Charles Correa won the golden price in UIA His design focuses on low-income housing and his achievements are recognized by the world. orld. This approved I think people’s admiration for the Indian architect reflects that the social responsibility of the architect is people’s consensus. As the president of Architecture School and the president of the design institute, how do you spend a day? I have limited ability, so I have to balance the energy. I implement design practice in design institute. Since the institute is managed in business, we are clear about the economic levers and the business process management. While in academy, I do much more. Including scientific development, training talents, and teaching. I am clear about the importance of design practice in the institute. We, among the presidents in UPENN, Cornell and Columbia, all agree that teachers have to have practical design experience and construction knowledge before they teaching students. You cannot teach if you are unable to do architectures. In Columbia, UPENN and in Cornell, the professors are the architects with rich design experience. The former president of UPENN is from SOM and the architecture department chairman of Columbia is also an excellent architect. Thus, I believe, as the president of school of architecture, I must firstly become a qualified architect before I foster students and impact on colleagues in teaching. Otherwise, it would be empty talk actually quite enjoy the status. I have my own creative platform in the design institute and can send students and teachers there have internship and make design. When I teach postgraduate and doctoral students, I ask them to participate in a practical project during their studies. 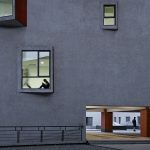 You have mentioned that it’s better for professional architects to teach in institutes, , so what are your recent concerns about architectural creation? The design institute is the platform of production and research. 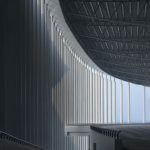 Thus, the focal point of architects and the project implemented in the institute are closely connected and shows the direction of architecture development. The leading concepts of today are ecological development, rural transformation, digital constructions, low-Carbon, the combination of industry 4.0 and passive development. These are not only related to the market but also related to the direction of architecture development. Therefore, the growing and critical point of disciplines are matched to the practices in the institute. It is important for professors to have their own research platforms in the institute. In recent years, I mainly focus on two aspects. One is architecture programming, where I run architectural programming institute to undertake projects. Plenty of government invested projects must be schemed and evaluated, to ensure the assignments are scientific and reasonable. As for completed projects, such like residence, school, hospital, we need to ensure that there are no repeated mistakes. The other focal point is the ecological architecture and low-Carbon architecture. Such as the solar-house project we implemented with MOMA. Another pattern that I also devoted to is the urban complex, which would have effects on the transportation, citizens, living patterns, space patterns, and the relationship of private and public spaces. These complexes include exhibition centers, museums and theatres, sports centers etc. Design must have constraints, which can bring challenges, thus bring interests. You can realize all the requirements of the clients, even the unreasonable ones. I think this is the key. What is your opinion in the game between Chinese and foreign design companies? Now the construction industry is in transition, what is the research and practice direction in the Design Institute of Tsinghua University, and what would be the adjustment? Thirty years ago, at the beginning of Reform and Opening period, people thought highly of the foreign architects. 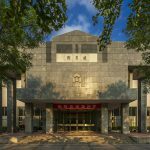 When the foreign architects were implementing a project, the Chinese architects assisted them and were more like learning from them. Since the rapid development of China, we are now on the same stage as cooperation partners. They are no longer in charge of the big projects here in China, instead, the Chinese architects have shown their talents and potentials, and in some aspects we could do even better. Now when we are doing projects, we may split some parts, depending on the circumstances, to the foreign companies. We would send the ecological part to the company that is good at it, or split the intelligent part to the one that is mature in this field. Things have changed wherever it is in the method, cooperation or collaboration mechanism. The growth of Chinese architects and their actions, as well as the environment of rapid development make this happened. 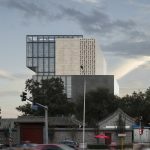 Do you agree with the saying of “there are no real architecture reviews in China”? We should build an impartial, harmonious and transparent mechanism of comment and atmosphere. 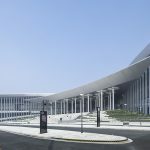 There are so many projects undertaking in such a big architecture market in China. And architects in China are too busy to make reviews while doing projects. They don’t have enough energy; besides, they have their own thoughts and sentiments in doing architecture design. It is caused by mechanisms. Since the development of architecture, the amount of construction work slowed down, some architects would like to be the real architecture critics. We actually do have many critics like Wang Mingxian, Li Xiangning, Zhou Rong, Jin Qiuye etc, who are all very professional.